Step 1. 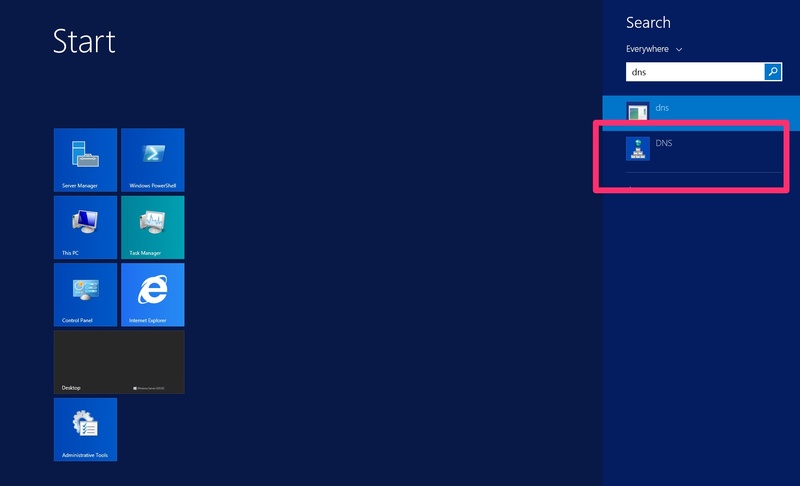 From the Start menu, start typing DNS, then select DNS from the search results. 4. Add the WebTitan Cloud addresses in the IP address list. 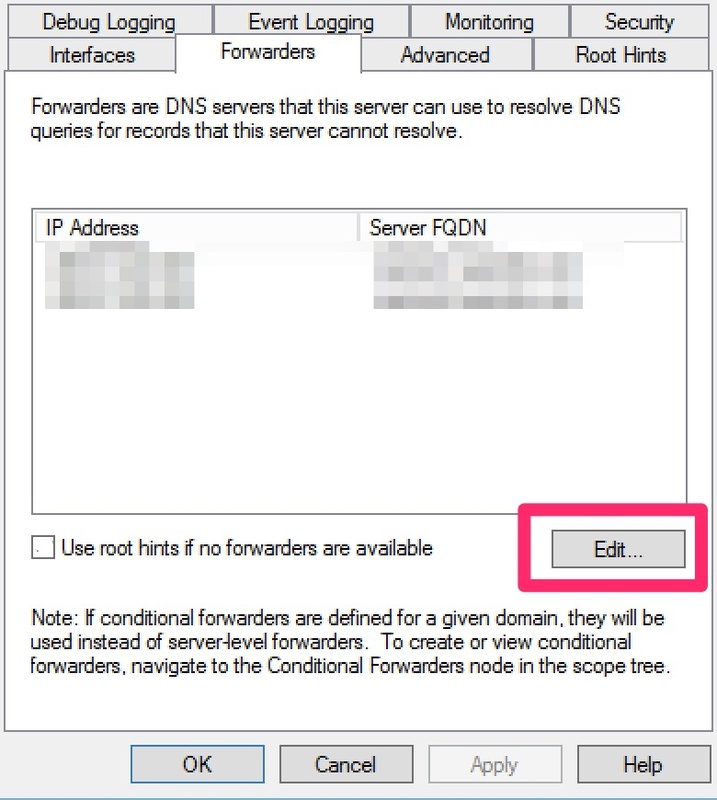 Make sure WebTitan cloud are the only DNS IPs in place for forwarding. 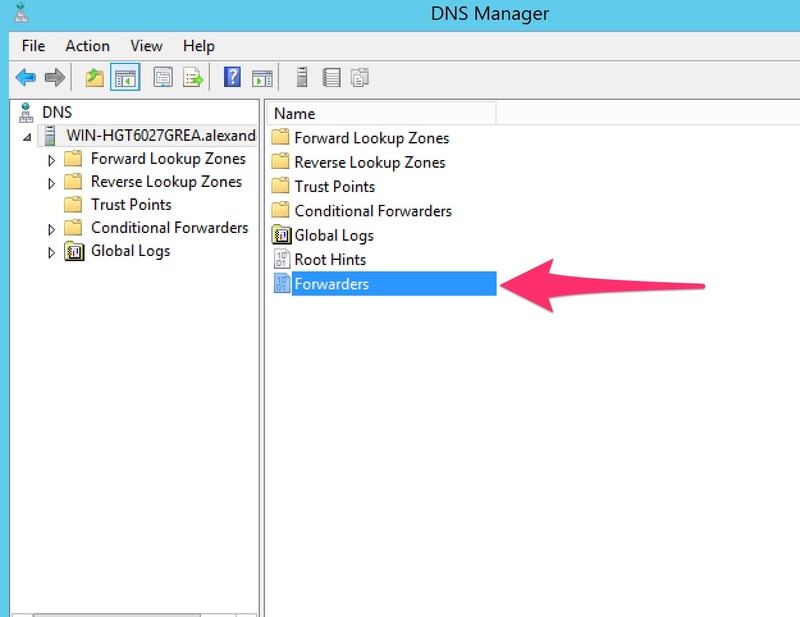 Please write down your current DNS settings before switching to WebTitan Cloud, in case you want to return to your old settings for any reason.